Recent ‘Pinkwashing’ using pink ribbon logos & conflicts concerning ACS guidelines for breast cancer coerced me to ponder over the unfortunate Indian health scenario. Most of the rural & urban poor population living in pitiable conditions are ignorant, underserved & have poor access to basic health amenities. Only a few privileged of the urban population are educated, enlightened & have access to proper health facilities. Most of us – amongst the few privileged- might not be aware of the significance of ” Pink Ribbon”. 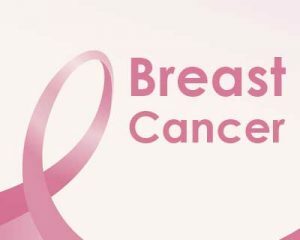 The ribbon with the pink color is not for fashion or style, instead, it is for awareness of breast cancer in the society. But, knowledge is inadequate until one also knows all the specifics related to the ailment. The more we delve to get elucidations, the more inquisitive we turn.A breast tumor is the most frequent female malignancy worldwide including India, where advanced stages at diagnosis, and soaring incidence and mortality rates, make it substantive to comprehend cancer erudition in women. 2) inherited mutation in BRCA1 & BRCA2 genes. 3) women who have had more menstrual cycles ( early menarche < 12 yrs & late menopause> 55 yrs) because of longer lifetime exposure to hormones. 4) women who have had no children or who had their first child after 30 yrs. 5) alcoholism, obesity & less physical activity. 6) history of previous chest irradiation. 7) exposure to polycyclic aromatic hydrocarbons. Maintaining a healthy weight, adding exercise into your routine, limiting alcohol intake and menopausal hormone use, and breastfeeding (if you can) are amongst the few substantial measures to slacken the incidence of breast cancer. Breast malignancy is one of the best-studied human tumors, but it remains poorly understood. No one knows explicitly why someone gets breast cancer. We are all still floundering around in the dark. Some of that floundering has certainly borne fruits; in terms of amelioration in modalities for screening &early detection of the lesion; attributing to the recent decline in breast cancer mortality rate. In making recommendations about screening, experts try to calibrate the virtues of a test against its detriments done to women in various age groups. 1)Women ages 40 to 44 should have the choice to start annual breast cancer screening with mammograms if they wish to do so. The risks of screening, as well as the potential benefits, should be considered. 2)Women age 45 to 54 should get mammograms every year. 3)Women age 55 and older should switch to mammograms every 2 years, or have the choice to continue yearly screening. Screening should continue as long as a woman is in good health and is expected to live 10 more years or longer. MAMMOGRAPHY ( conventional screen film & digital ) is a low dose X-ray imaging of breast tissue. It is currently the most efficient screening modus operandi to detect incipient cancer. But it has little if any efficacy for excluding cancer. A negative mammogram provides little reassurance. 1) Requires dedicated mammographic equipment, proficient radiographers & skilled interpretation by radiologists which are not widely available in government hospitals, even at tertiary level in India. 3) costly & mildly agonizing procedure especially for patients in distress. Though 3D mammography ( digital breast TOMOSYNTHESIS ) holds the promise of augmenting the cancer detection rate , but the dearth of wide accessibility & exorbitance of the cost is again the concern. Studies have recently shown very promising results for SONOGRAPHY as a secondary breast cancer screening examination.Sonography is widely available ( in comparison to mammography) in a country like India. It is painless & without the risk of radiation exposure. Since the images are captured in real time, it is far more reassuring to the patient to be shown on the monitor that the lump that is being palpated corresponds to a positive but normal finding. 1) palpable lumps especially in dense breasts where mammography has a limited role. 2) to detect malignancies missed by mammography. DOPPLER imaging can be utilized to detect increased blood flow which is usually a manifestation of biologically aggressive lesions. HARMONIC imaging improves mass visibility. Nodules that are isoechoic with surrounding tissues & difficult to identify with fundamental imaging appears markedly hypoechoic & more conspicuous. ELASTOGRAPHY is a new sonographic imaging technique which provides a noninvasive evaluation of the stiffness of a lesion, differentiating benign from the malignant tissue; thereby limiting the number of benign breast biopsies. The main limitation of sonography is that it is operator dependent, that is one requires a competent radiologist. The American Cancer Society recommends screening breast MRI & molecular imaging in certain high-risk women. It is unlikely that any of these new technologies will replace mammography; currently the gold standard. The role of these new technologies is primarily as an adjunct to screening mammography and can be used in an amalgam tailored to the individual’s risk factors and breast density, with the objective of maximizing sensitivity and specificity. This is a modest endeavor to apprise every one of the assortment of modalities pertaining to breast imaging. While most people are aware of breast cancer, many forget to take the steps to have a plan to detect the disease in its early stages and encourage others to do the same. Knowing it prevails, is not enough. Get acquainted, pass it on! The author is DMRD, DNB (Radiodiagnosis) and is Assistant Professor, Dept of Radiodiagnosis, Gandhi Medical College, Bhopal. She is a member Editorial Board, Radiology at Specialty Medical Dialogues.